We celebrate and support students to boldly pursue their dreams. Our financial assistance program supports our commitment to diversity within our community. Our financial assistance program offers Senior School bursaries, financial aid, and merit scholarships. Qualified, motivated students are encouraged to apply, regardless of financial need. Many families find it difficult to know if they are eligible for financial assistance, or which bursary they could qualify for. We're here to help! Our founding Headmaster Emeritus, Alan Brown, laid the foundation for Southridge School. It was his vision, and his outstanding reputation as an educator, that attracted many of the first families to the school. With three daughters of his own, and a 30-year career of educating only boys, Mr. Brown was instrumental in founding Southridge, in part, to realize his dream of educating girls. Mr. Brown was deeply committed to supporting students through bursaries. In honour of his dedication to ensuring that all students, regardless of financial standing, might have the opportunity to receive an independent school education, Southridge School, with the generous support of his family and friends, has established the Alan Brown Memorial Bursary in his memory. The Alan Brown Memorial Bursary is a partial, renewable bursary covering up to a maximum of 50% of tuition, for an outstanding new female Senior School student (Grade 8 - 12). 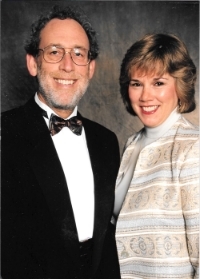 The Carol E. Levy Memorial Bursary is offered in memory of Carol Levy, a founding parent of Southridge School, caring mother of Rachel, Rob, Victoria and Hilary and loving wife of Michael, who passed away suddenly in 2007. Mrs. Levy was a remarkable woman who gave countless hours to the community and was instrumental in the formation of Southridge. Her unwavering dedication to the school is sorely missed, but her commitment to all children will be felt through this generous endowment in her name. The Carol E. Levy Memorial Bursary is a full, renewable bursary covering up to 100% of tuition, awarded to an outstanding new Grade 10 student. The Bo Hogland Memorial Bursary was established in memory of Dr. Bo Hogland, a caring and respected member of the Southridge community, who lost his battle with ALS in 2016. This bursary has been established by his wife, Dr. Dorothy Sonya, to commemorate the impact Bo had on his family and community. The Bo Hogland Memorial Bursary is a partial, renewable bursary covering up to a maximum of 50% of tuition, for an outstanding new Grade 8 student, who has a demonstrated passion for the Arts. Southridge was built on the desire to create a school community that develops young people who contribute to each other’s success – and the betterment of the wider world – regardless of financial standing. We are proud to offer a limited amount of financial aid to a select number of new outstanding Senior School students (Grades 8 - 12) each year, who we believe will make a meaningful contribution to our school community. We encourage you to connect with our Admissions department prior to applying for a bursary or financial assistance. Southridge 2019-2020 Admissions Application Form and all supporting documentation. Southridge Bursary and Financial Aid Application Form. Families are required to submit financial information to a third party. Apple Financial Services collects information for standardized, confidential processing and provides us with a summary of their findings to assist us in determining financial need. The Financial Aid for Students Attending Canadian Schools (FACS) Form is available on the Apple Financial Services website (A processing fee is charged). Fee waivers for the Secondary School Assessment Test (SSAT) may also be provided on a first-come, first-served basis for students who have completed their application. Contact the Admissions Office (below). Watch this video to hear the story of how Southridge School was created and the central role played by Alan Brown.